TORONTO, ON (December 22, 2011) – The National Hockey League Players’ Association (NHLPA) is proud to announce that the NHLPA Goals & Dreams fund has donated over 650 sets of brand new hockey equipment, worth over $300,000 to 33 grassroots hockey organizations since the start of the hockey season. In order to help more deserving children play hockey, the players continue giving back to the game through their NHLPA Goals & Dreams fund, by assisting grassroots hockey organizations worldwide with donations of new hockey equipment. 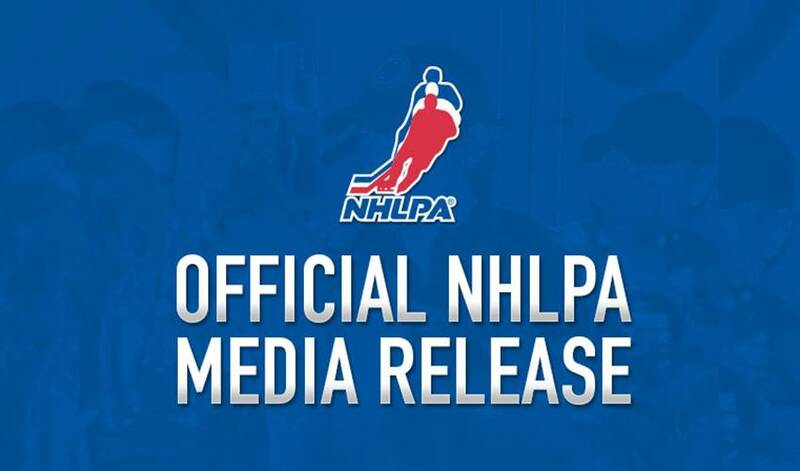 While many of the grassroots hockey organizations that NHLPA Goals & Dreams donations have been player-affiliated, not all grassroots hockey organizations which received equipment had player-affiliation; out of the 33 grassroots hockey organizations to receive donations from the players’ program this season, 15 of them had ties to NHLPA members. Hall Beach Girls Hockey Association, referred to NHLPA Goals & Dreams by Jordin Tootoo, is the first girls’ hockey program in Hall Beach, a remote community in northern Canada. The program strives to give girls an equal opportunity to play hockey while improving their lifestyles. They have received 32 sets of equipment from NHLPA Goals & Dreams. City Hockey, the first hockey initiative of its kind in St. Louis, works to instill the values of teamwork, dedication, and self-respect in its participants. B.J. Crombeen has partnered with NHLPA Goals & Dreams to help the children in the program, which converted an old roller rink into an ice surface. Thomas Vanek helped coordinate the new partnership between Ice Sledge Hockey of Austria and NHLPA Goals & Dreams, as the program supports young disabled athletes in his native Austria. The program received brand new sledge hockey equipment valued at over $13,000 on behalf of Thomas and the members of the NHLPA. Twenty sets of new equipment were donated to the District of Lunenburg’s Positive Recreation Opportunities for Kids (P.R.O. Kids), which provides assistance to youth whom otherwise would be unable to participate in sport and recreation activities due to financial limitations. The program emphasizes values of fairness, inclusion, excellence, and enjoyment – all ideal components for an NHLPA Goals & Dreams application. The NHLPA Goals & Dreams fund, launched in 1999, is the NHL players’ way of giving back to hockey at the grassroots level. Having donated over $20-million since inception, the total number of children benefited by the program has surpassed 60,000. Over the past 12 years, NHLPA Goals & Dreams has reached economically disadvantaged children in 25 countries, while also having previously assisted countless communities in their quests to upgrade existing arenas or build new ones. For more information, including how to apply for an equipment donation, visit www.nhlpa.com.